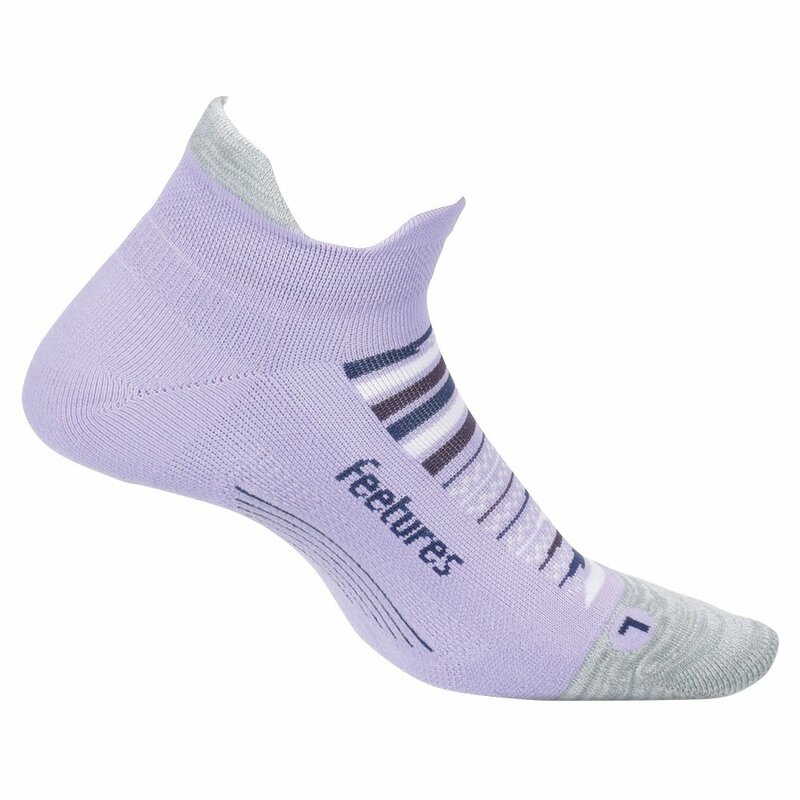 The Feetures Elite Light Cushion No Show Tab Running Socks are designed for comfort and support for all your workouts. They have targeted compression where you need it most and a left/right foot specific anatomical design that provides an enhanced fit with improved comfort. The Perfect Toe® has no irritating toe seams, reducing the chance of blisters, so you set a new record on the road. And because you want performance from your running socks, the light cushion design adds impact protection while the iWick® fibers wick away moisture keeping your feet cool and dry no matter how hard you work.